When it comes to permanent hair removal, Intense Pulse Light (IPL) and laser are probably the most common methods. IPL and traditional lasers have been problematic in the past because either the treatment isn’t all the way effective or it’s uncomfortable if not downright painful, PLUS you have to go for a million and one sessions before any real results. Laser, which uses a beam of light over the skin, targets areas of high pigmentation and then heating them to a point of destruction of the hair follicle. You can see how this could be a problem if your hair AND skin are highly pigmented. Older laser machines were not able to tell the difference and therefore destructing not only the hair follicle but the skin too. This is why laser was traditionally best for people with very light skin and very dark hair. We’re happy to announce though, that The Laser Beautiques offer revolutionary laser technology, which is safe and effective for all skin types. This may sound technical but it all makes sense, if you think about it: the diode laser is applied using a new treatment technique called IN-Motion™. This is what makes this treatment pain free, unlike other laser treatments, which can cause discomfort and pain. Unlike previous generation systems, the energy from the laser is delivered via low fluence (energy), and pulses at a rapid 10 pulse per second repetition rate. The temperature of the hair follicle containing the cells responsible for hair re-growth is gradually raised to the point whereby the cells become damaged, and can no longer generate a new hair. This rise in temperature causes a deep dermal heating- a sensation that almost feels like a hot stone massage. This turns the otherwise uncomfortable process of hair removal into a surprisingly soothing one. This revolutionary method of delivering low-level energy via a burst of rapid pulses is what enables Pain-Free yet extremely effective hair removal. Less risk of side effects than has ever before been possible with other lasers. By constantly moving the hand-piece during treatment, the energy is delivered uniformly, eliminating skipped spots and ensuring patient comfort. There is zero recovery time so you can usually return to normal activities immediately. I was advised to use unscented deodorant for a day or so afterwards. So really the biggest difference in this latest technology compared to the old school stuff? Well, The Laser Beautique compare it to having a hot bath, when you draw a boiling hot bath and try and get in, you will burn yourself. BUT if you gradually increase the temperature of the water you can withstand an even higher temperature without feeling any pain of discomfort. Laser is NOT effective of light, blond, ginger of grey hair. If you fall under any of those categories, you would need to consider Electrolysis instead. 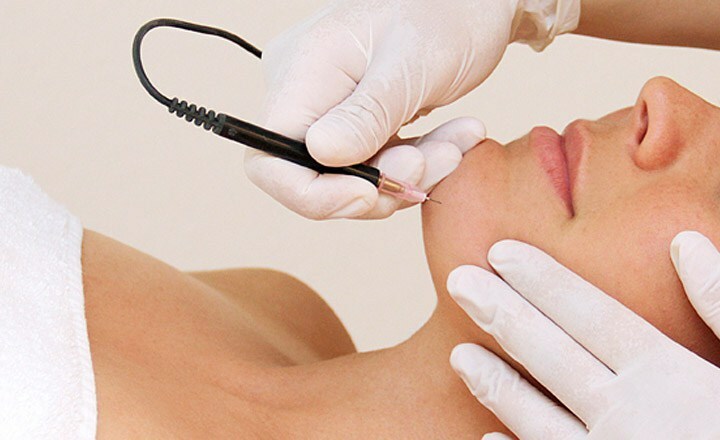 Electrolysis is the only FDA approved treatment for 100% hair removal whereas laser is FDA approved for Hair reduction. Many people laser until they have removed all pigmented hair and then clean up stray light hair with electrolysis. Suns Out Buns Out! Don’t Burn! Bronze on…Here is all you need to know about SPF for Summer!